1. My favorite Halloween Costume of 2018. My young cousin, Hannah, was on point with her portrayal of Queen Elizabeth II. The hat, the brooch, the gloves and the ever-present pocket book make this Look! I always wonder what Queen Elizabeth carries in those purses...autographed photos perhaps? Her favorite candy or gum? Or is she like most nanas and carried kleenex and a small package of wet wipes? Hannah even found a wig that matches the Queen's hair do!! I was happy to see a big turnout at the poll in Priceville this year. I got a nice morning walk in as I had to trek quite a distance to get to the poll. 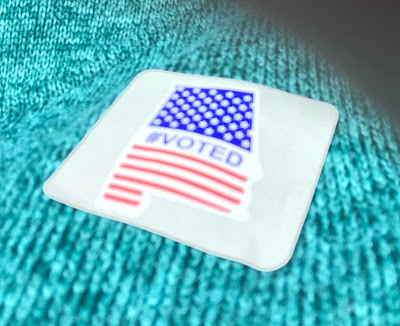 I literally exercised my right to vote! :) Our poll had a nifty little gadget that swiped our drivers license and verified our registration. It made voting much faster. I am a big fan of the Green Coke. It is half sugar and half stevia and tastes much more like the Real Thing than Diet Coke or Coke Zero. Only 90 calories in a can. I wish Coca Cola would bring out the smaller can version for this drink. I can only drink 40 calories worth. Its Thanksgiving on the Breakfast Bar. My sis in law, Amy snapped these wild turkeys in Ellijay, Ga while we were there for our Sibling Reunion. Wild Turkeys would not feed as many people as a Butterfall! But they are handsome fellas for sure. Hannah definitely wins the prize for best costume! I never heard of Coke Green and I am a big DC drinker. I will definitely look for it. Have a wonderful weekend, Arlene. Oh my, Hannah made a stunning Queen. 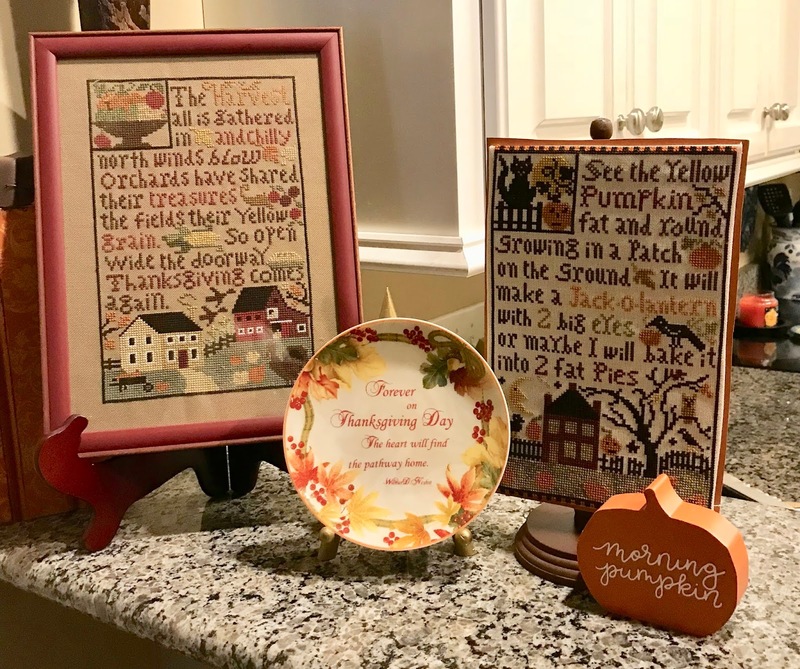 I love the Thanksgiving themed breakfast bar; love the stitches, the pumpkin, and the small plate (especially the verse). 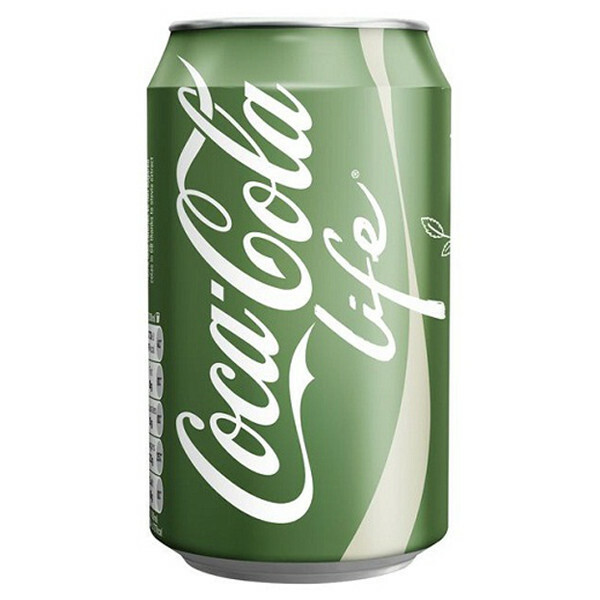 Interesting about the green canned Coke; haven't seen it around, but then I cut soda from my beverage consumption. Enjoy your Friday, Arlene! That costume is amazing! Perfectly done! We had a big voter turnout too and now those who lost are screaming for recounts. I've not seen green coke, but we are Pepsi people here. 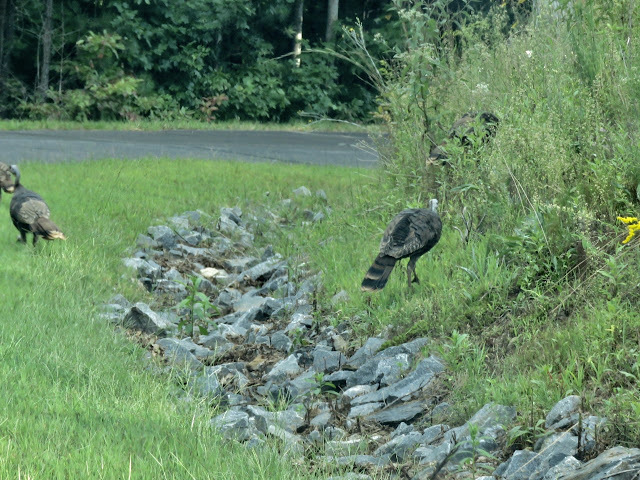 We see wild turkeys at the farm often. Not sure how good they would be to eat... when we are so used to Butterball (as you said). Happy weekend! Your cousin did a wonderful job of portraying Queen Elizabeth II! Even the way she is standing is perfectly The Queen! Your breakfast bar is beautifully done. You always have such good taste when you decorate. Arlene, I thought that was the queen! Wow - she should win a prize! Love your breakfast bar! Shoo Turkeys! What's New at Cracker Barrel?